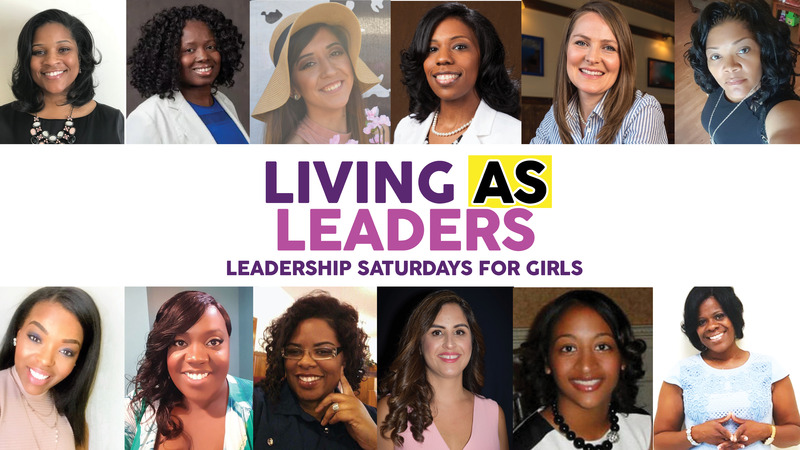 If kids are still using words like “fierce” or “fire” to describe someone that is amazing, then those words accurately describe the speakers and presenters at Living as Leaders: Leadership Saturdays for Girls. I would also describe them as knowledgeable, dedicated, driven leaders that some may refer to as phenomenal women. They each agreed quickly to speaking, and that truly shows their commitment to youth. Below you will find a brief overview of the speakers, their current careers, and their speaking roles for Living as Leaders. You can learn more about them by reading their full bio. I, Aurelia Spaulding, will teach the leadership topics each week with support of teaching assistants Carolina Escobar, Jazmin Fulkerson, and Marie Mennefield. I serve as a marketing coordinator and teach leadership at WKU, and each of the teaching assistants are WKU students. The girls can expect to learn about Character on April 21, Competency and Curiosity on April 28, and Courage on May 5. The Curiosity portion on April 28 is meant to challenge the girls to begin critical and reflective thinking. Along with a leadership lesson, each week girls will learn a life skill related to the topic for the day. Speakers may share their experiences and then teach them information that will help in different areas of life. Educators Natalie Croney and Shante Galloway will begin the series on Life Skills by discuss a topic related to social skills – self-love and showing love to others. During our April 28 meeting, Irene Boamah will teach the girls a life skill related to money management. Boamah is the co-director of KY Steps Behavioral Health Services. On May 5, Joda Johnson and Dana Beasley Brown will discuss decision making in their lessons. Johnson is a coordinator and instructor with the Southcentral Kentucky Community and Technical College, the Barren County Adult Education Division. Dana Beasley Brown is the Assistant Coordinator for the Youth Services Center at Bowling Green Junior High School. Each week, we will end the day with a closing charge featuring Dr. Kacey Jenkins, Leyda Becker, and Dr. Martha Sales. Dr. Jenkins’ clinical practice focuses on family counseling, and she will close our first meeting on April 21. The following week Leyda Becker will send the girls home inspired. Becker serves as the International Communities Liaison for the City of Bowling Green. On May 5, Dr. Sales will finish the series with a closing charge. She is the Executive Director of Western Kentucky University’s TRIO program and Intercultural Student Engagement Center. Andrea Denise Bolden and LaCretia Pratt will teach the applied learning sections of Living as Leaders. Andrea is a business owner and also works as a therapeutic foster care manager. LaCretia Pratt is a Community Access Specialist and is the founder of L.I.F.E. Community Development Corporation and L.I.F.E. Mentoring Program. As one of the lead coordinators in Living as Leader, Pratt will also be moving in the background to ensure everything is running smoothly. We hope you will join us. Be sure to register by Friday, April 20. Registration will close once we reach 15 in each group (grades 3-5 and 6-8).